The bicycle brand Gloria was founded in the year 1921 in Milan,, Italy by Alfredo Focesi. Focesi worked for Giovanni Gerbi at Cicli Gerbi in Milan before starting his own business. Focesi’s wife, Artemisia Gerbi (Giovanni’s Gerbi sister), Francesco Galmozzi and Focesi himself, had a mission to build finest bikes and they were very good at their work. In 1926 Galmozzi left Gloria and founded his own company. Until the end of World War II Gloria is considered one of the best known brands in Italian cycling. 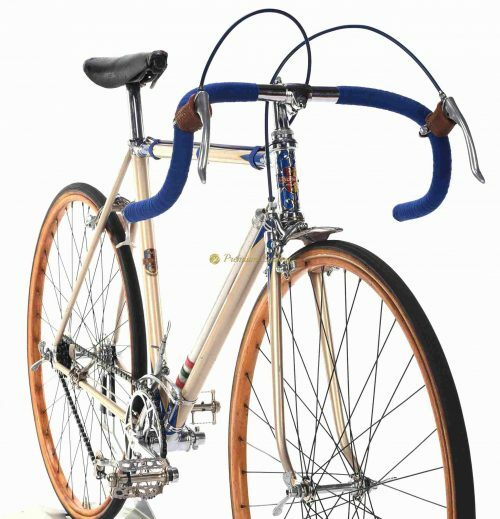 Since the 1920s Gloria bicycles are recognized by the highest level of finish and their particular lugs.The pride of the company is the “Garibaldina” model, considered one of the finest bicycles in the world. The sportive success was just one of the reasons, why Gloria bikes were always admired. The other side was their intricate design. The top class frames received an extensive nickel coating and the most beautiful floral lugwork. 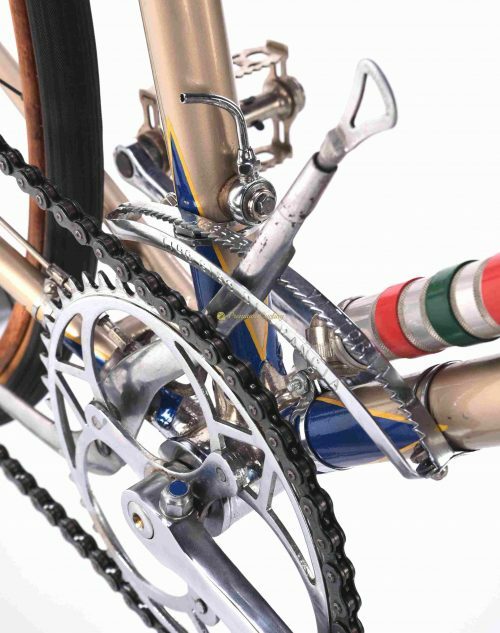 There is a story that this lugs have inspired Ernesto Colnago when he designed Arabesque model. This is not completely unlikely since Colnago has started to work at Gloria at age 13 and his first bike was a Gloria Garibaldina. Also Faliero Masi and other artisians learned their first skills at Gloria facilities in Milan. The racing history of Gloria started very well: after only one year of production Gloria already add rainbow colors to their name based upon victory of Libero Ferrario who won 1923 World championship in Zurich. 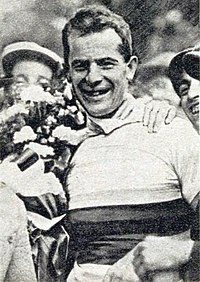 In 1931, Francesco Camusso won the 1931 Giro d’Italia with Gloria-Hutchinson Team. Gloria bikes were the finest racing machines you could get back in 1920s-1930s and by no surprise theu were ridden by famous champions Learco Guerra and Constante Girardengo. In 1920s changing gears meant stopping and removing the rear wheel and flipping it around to use a different size cog. But in early 1930s, the new Vittoria Margheritta gear system was released, which used a sprung tension arm, mounted on the chainstay and placed the striking fork above the chainstay, so requiring back-pedalling to change gear. Alfredo Binda had used the Vittoria Margherita system when he won the World championship in Rome in the fall of 1932 and many pros mounted the system on their bikes for the 1933 season. 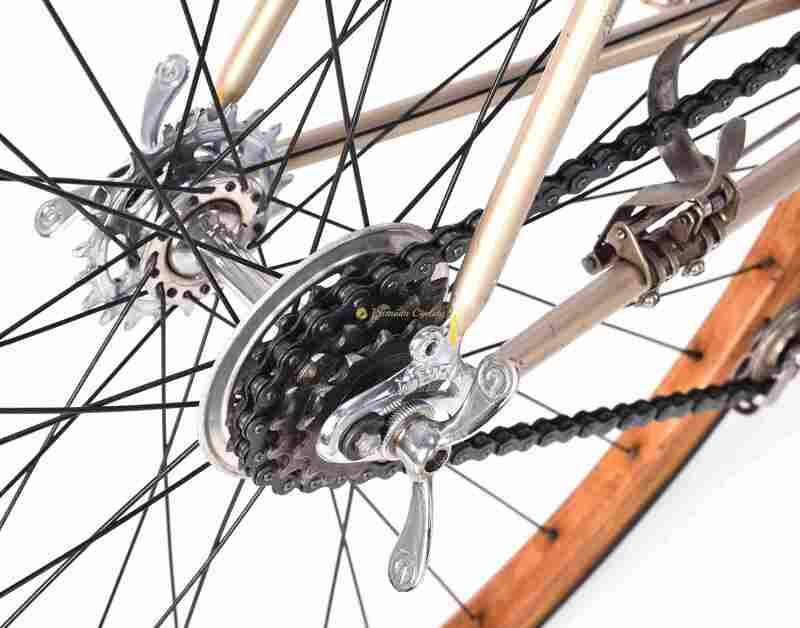 The Tour de France forbade the use of derailleurs until 1937. But unlike the Tour, the Giro d’Italia allowed their use before. With this extremelly rare masterpiece of the cycling history, Premium Cycling reached the top of what can be offered to the vintage bike collectors worldwide. Here we are proudly presenting GLORIA Garibaldina Corsa, (No.27608), dates back to 1936, thanks to special vintage bike register. Extraordinary details of the lugs, fork crowns, Gloria marked drop-outs, bottom bracket shell, internal seat tube chain oiler makes you staring at them for hours. Equiped with original Vittoria Margheritta – Tipo Giro di Francia gearing system, original Gloria cranks, hubs, butterfly axle nuts, integrated headset among others. If you wish to go 1920s style, just flipp the rear wheel and go fixed gear. With this milestone you can get an incredible experience how cycling heroes like Ferrario, Girardengo, Binda rode back in the golden era of the cycling history or just to get a lot of attention at any historic cycling events. A museum piece. Condition: The frame has been refubrished many years ago. The decals are original. The bicycle participate at L’Eroica event without any issues. All parts are working fine.